The Mini Marcos was originally designed by Brian Moulton with help from Malcolm Newell as pattern maker, The car made a stunning debut appearance at Castle Coombe in September 1965, driven by Geoff Mabbs, where it overwhelmed the opposition finishing a full minute ahead of the opposition and lapping all but one car. 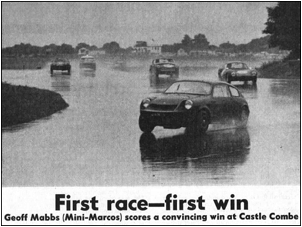 The Mini Marcos was then put on public display at the Racing Car Show at Earl's Court, London, in January 1966, and the rest as they say, is history. 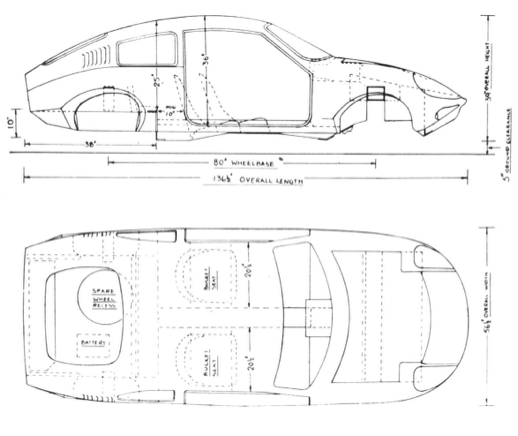 The basic shape of the car stayed the same during its production but there are a number of differences and changes that were introduced giving rise to different Mk’s. According to the MIni Marocs Owners Club's website, at least 1260 Mini Marcoses were built in the UK including the Harold Dermott Mk. IVs. Additional cars were built under licence in Ireland and South Africa and in 1991 Marcos Heritage product the MKV, mainly meet the demand from Japan and later a Mk VI. This takes estimated production to a total of around 1350 cars. 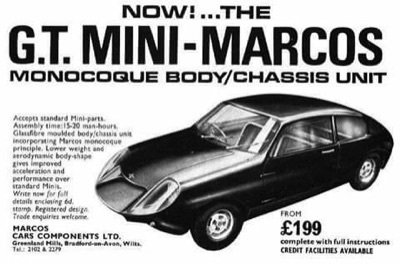 During 1966 the Mini Marcos was introduced at the Racing Car Show at Earls Court. It sold extremely well, despite being described as “ugly as Hell” by one correspondent. It was soon snapped up for racing due to its light weight body and proved to be extremely succesful. Subsequently the Mini Marcos earned its spurs and reputation on the track, especially at Le Mans in 1966 when a MK1, run by a French team, was the only British car to complete the 24-hour race. Over the years the Mini Marcos continued to earn its place in the racing history books, it still holds four National Land Speed Records, has twice won the Mod Sports Championship and won the 1991 Liege-Rome-Liege rally for Sports Cars beating Porsche, Alfa Romeo, Mini Cooper and Austin Healey. The car still being extremely popular for both race and road use throughout the world. MK 1 - The original builds. 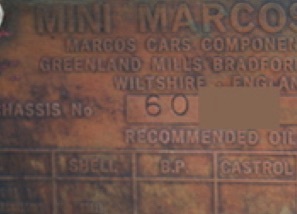 The MKI chassis plates start with a ‘6’, followed by three additional numbers, although one or two MK2 Cars seem to have the 6 prefix, according to the MMOC website. Less than 150 MK 1 models were made and they can be recognised by the more iregular shaped wheel apertures as well as the fcaory 'competition insturment bannacle in the dashboard, somethng that sadly disappeared in the later marks. 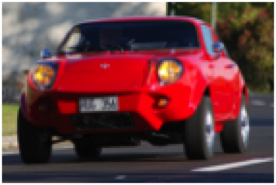 The car was designed so that all of the running gear from a standard mini could be removed and bolted straight onto the Mini Marcos moncoque shell. The only addition being a fuel tank from a Mini van. The body shape was revised in 1967, with a larger front number plate panel, recessed fuel filler and simpler, semi-circular wheel arches instead of the distinctive notched design. This was known as the Mk.II. Some MarkII cars have a 6 prefix the remaining are know as '7 series' and the chassis plate prefix starts with, a 7. Mk.II and Mk.III cars are similar except for an opening rear hatch on some of the Mk.III's. The Mk. III was the most numerous version and the only Mini Marcos to be homologated (a batch of 50 cars was built between February 1967 and January 1968). As a road car it had the disadvantage of a fixed rear window which made access to the luggage space difficult. This was overcome when an opening rear hatch was introduced as a factory option. 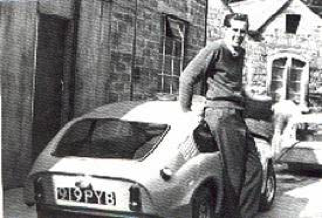 In addition to cars produced by Marcos in Bradford-on-Avon, a batch of 40 was made under licence in Ireland, and a similar number by Brian Raubenheimer in Pietermaritzburg, South Africa. Marcos Cars Components Limited collapsed in 1971 but the company was bought by Rob Walker's Corsley Garages and traded as Marcos Limited and it was this company that then intoduced the MKIV. The body was updated, with a new floor pan based on the Mini Traveller and a rear hatch as standard. It was longer and taller than its predecessors, giving more interior space and a better driving position. 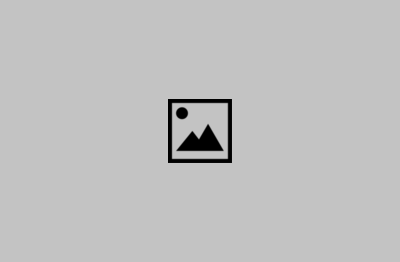 The company and assets were bought by Fraternal Estates, part of the Rob Walker group of companies, and the Mini continued in production in its MK IV version, all be it in component form in Westbury until August 1975. In 1975 production of the Mini Marcos was taken over by Harold Dermott's D & H Fibreglass Techniques Ltd. in Oldham, Lancashire. 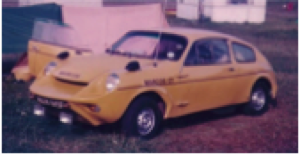 With minor changes the model continued in production until 1981 when Dermott brought out the Richard Oakes designed Midas. The company later expanded and moved to a new factory at Corby where it traded as Midas Cars Ltd. However the aftermath of a serious fire at Corby led to the demise of Midas, and under the terms of the original agreement the Mini Marcos moulds, iigs, and production rights reverted back to Marcos and Jem Marsh Westbury, who by this time had regained the company. Marcos Cars started to suffer during the depression in the late eighties and a decease in orders for the Rover V8-engined Mantula saw Marcos looking at extending their range with cheaper alternatives to fill the order book. 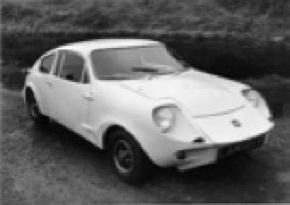 The coupé body was adapted to use Ford Cortina Mk.IV parts and launched as the Martina. In 1991, the Mini Marcos's Silver Jubilee year, and in response to considerable interest from Japan, the Mini Marcos was further updated and given a new lease of life. The Mk.V had larger arches to accommodate 12" wheels (or 13" with low profile tyres) and a front air dam. Wind-up windows and the later push-button door locks were fitted, along with the rubber mounted front subframe, but the traditional Mk.1/2 Mini external door hinges were retained. A rear spoiler was available but few if any of these were sold. Although only sold in the UK as a kit car. A number of fully built vehicles were made for export. For this purpose Marcos would purchase a complete Mini 1.3i, strip out the mechanical components and sell the steel shells. Rumour was that Rover would not sell Marcos the compnenets seprately, and it worked out less expensive to buy the complete cars and strip them. These Shells were later used to create the Checker S Mini's for a Tokyo based company. The Mini Marcos additionally had an air conditioning unit available, and this was fitted under the dashboard on the passenger's side. In all ten cars were sold to Japan and several others went abroad. Production of the Mk.V Mini Marcos continued until 1995.